Apple updated Final Cut Pro X just before the holidays. So, in this session, Larry Jordan explores many of the new features in the latest version of the application. This course is also included with our monthly membership plan, click below to learn more. Several times each month, Larry Jordan presents a live, on-line, video training webinar discussing issues related to video editing and post-production. For a list of upcoming webinars, click here. DOWNLOAD NOTE: After you complete the store checkout process, you will see a Download Link on the Order Confirmation page. This link allows you to download the product to your computer. You are given four attempts to download the file. Since this title is downloaded, a CD/DVD will not be shipped to you. Apple updated Final Cut Pro X just before the holidays. So, in this session, we take a look around the latest version of the application. This is an intermediate-level session. 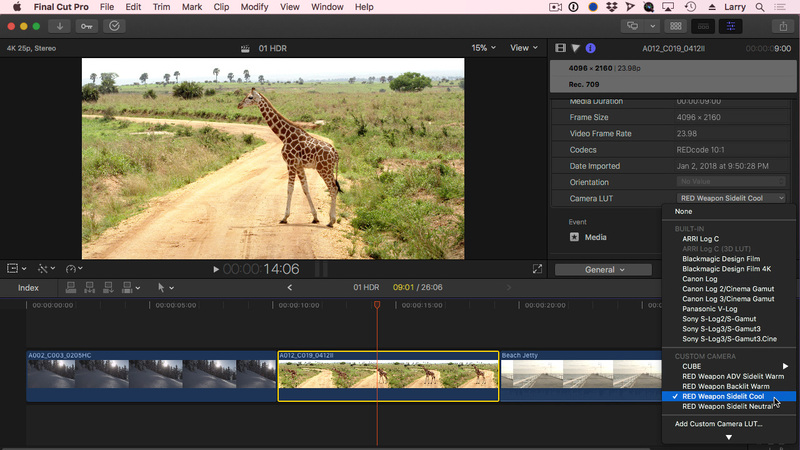 Some knowledge of Final Cut Pro X will be helpful. This session is delivered as a QuickTime movie, so you don’t need to own the software to watch this. To help you quickly find the information you need, we include chapter markers in the QuickTime download to simplify navigation. Click here to learn how to display them in your download.